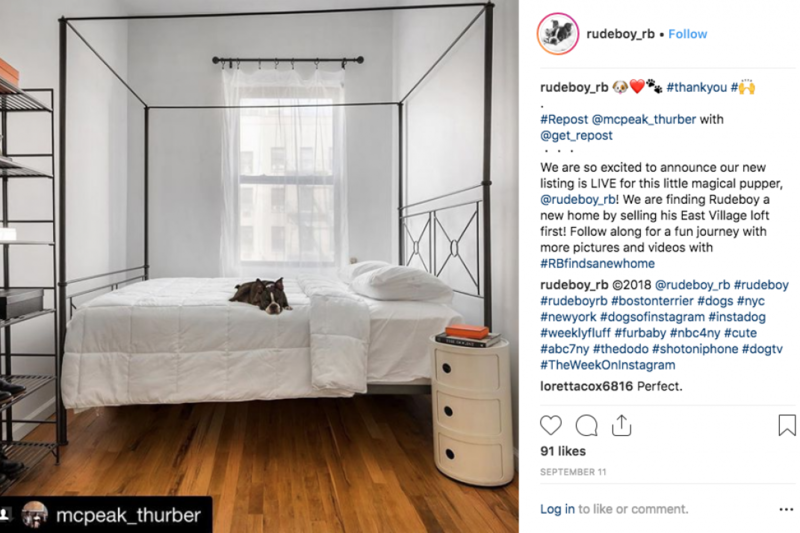 Halstead's McPeak-Thurber team enlists Instagram-famous Boston Terrier @rudeboy in its efforts to sell apartments. Think Instagram is just for reality TV stars, Selena Gomez, and the kids who love them? Think again. The average age of the social media platform’s user continues to rise, and Instagram-savvy New York City agents are reporting results. 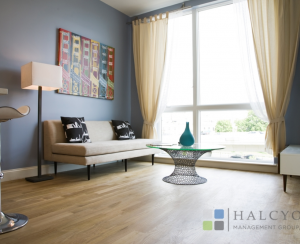 “It’s hitting critical mass,” says Sean McPeak, a real estate salesperson at Halstead who started an account (2,091 followers with partner Katie Thurber) back in 2013, and began seeing more engagement about two years ago. Of approximately 120 deals over the past two years, he credits about 40 percent of his sales, or $25 million, to Instagram. 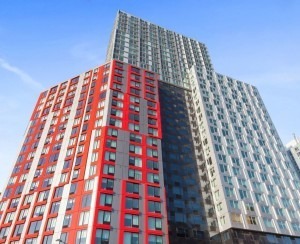 Additionally, he estimates that the platform has helped drive $50 million in sales in one development, 184 Kent Avenue in Williamsburg, for Thurber. Lewis enlists Instagram as part of a suite of platforms he uses that includes Facebook, Twitter and LinkedIn to disseminate his mini movies exclusively—i.e., you’ll find the same content in all of his feeds, with the Instagram videos edited to 60 seconds, the maximum length allowed on the platform. Among the professionals we talked to, Lewis is uncommon in that he posts on so many platforms. For everyone else, Instagram is where it’s at. (Facebook has fallen out of favor for a variety of reasons, Twitter isn’t as compelling or visual, and Snapchat seems too much trouble.) 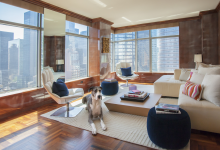 For an example of the power of a well-curated and produced Instagram account, consider Corcoran real estate salesperson Andres Perea-Garzon’s (2,900 followers). He became the in-house broker at The Pierre after the hotel saw his feed. While Lewis does say that the higher the price tag of a listing, the less those owners are aware of Instagram (indeed, some are oblivious), he still produces videos with their permission with the goal of reaching as many potential buyers as possible. 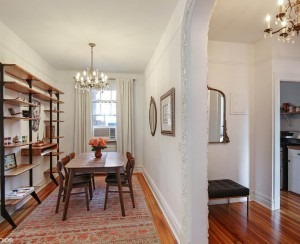 It’s a different story for first-time buyers and sellers (read: younger): “It’s incredibly important to them,” he says. 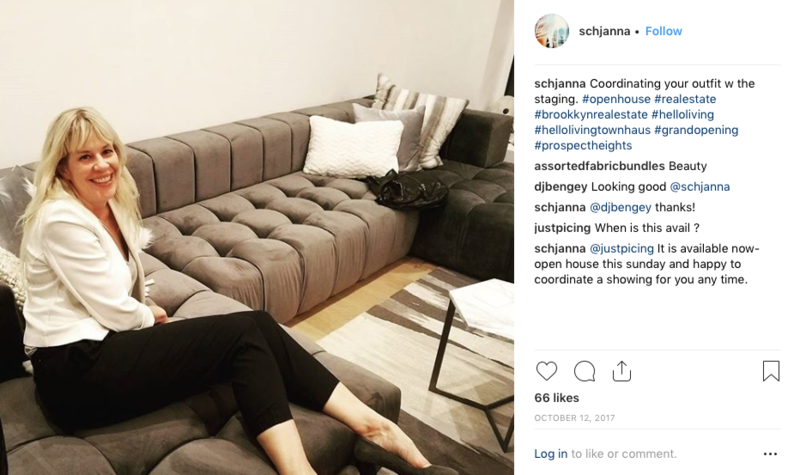 Case in point: Ideal Properties Group real estate salesperson Schjanna Rydenour (2,089 followers), who works primarily in north Brooklyn, says that younger people considering areas like Bushwick, Clinton Hill, and Fort Greene use the platform as part of their apartment search. “There are literally people looking on Instagram to find properties,” she says. Similarly, deciding you need to work with an agent with Instagram skills doesn’t mean you have to sacrifice the experience and knowledge that a “seasoned” agent possesses. “I’m not 25. You don’t have to be right out of college,” says Mike Lubin a real estate broker with Brown Harris Stevens (5,777 followers). 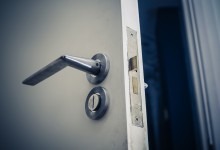 Whether you’re vetting a potential agent to sell your apartment or wondering how you might be able to get some views, likes (and a buyer) yourself, there are some general best practices and tips to keep in mind—to get the broadest audience. Perhaps the most obvious, but crucial thing: take and post good photos. That means images that are in focus, bright, have the right contrast, and of course, are visually interesting. (You don’t need a fancy camera; McPeak and Thurber both use their iPhone 8 plus for shots.) McPeak advises centering the image in the grid Instagram provides, and making sure it is level. The platform offers a variety of filters, and McPeak says it's best to pick one or two and stick with them, as part of an overall effort to cultivate a visually-consistent (and therefore aesthetically-pleasing) feed. Across the board, everyone we spoke to agreed that simply posting apartments for sale or rent is not the way to go. “You’ve got to be cool, be indirect. People have to see things a couple of times in different ways,” says McPeak. In this way, Instagram is the soft sell social media platform, and why many agents include both professional and authentic personal content in their feeds. 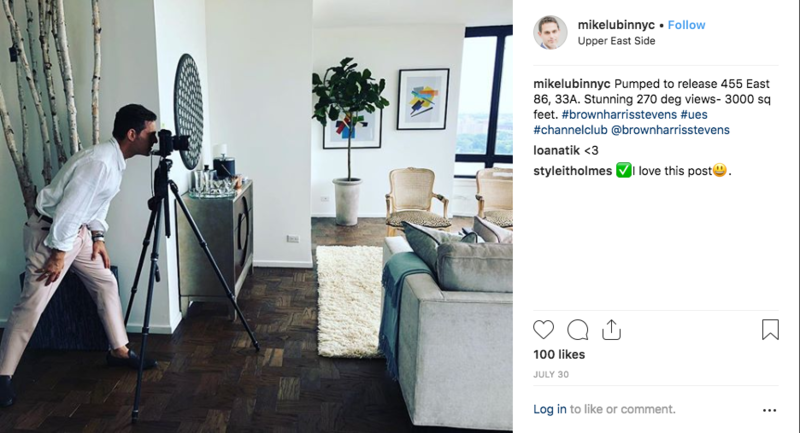 Like other agents, Lubin occasionally gives a “behind-the-scenes” look of him shooting a property that’s coming on to the market. “It’s a little bit more personal. It’s not just a photo of the property,” he says. 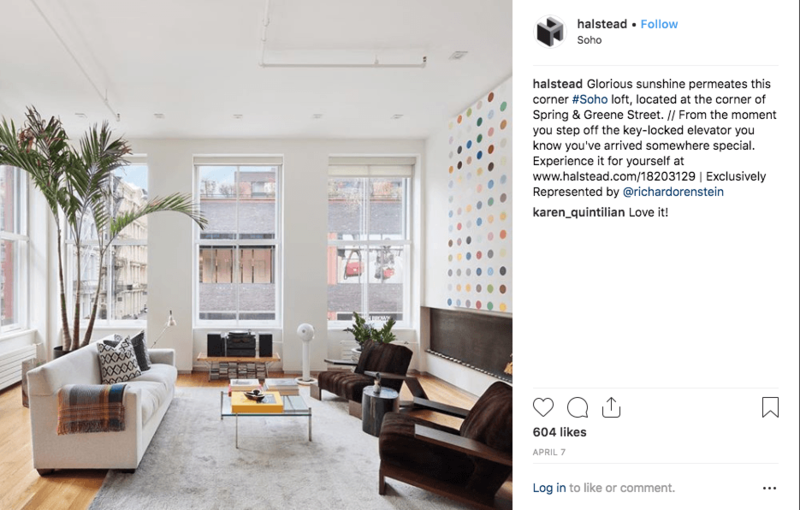 An important part of an Instagram strategy is the use of “tags," or hashtags, to draw attention to your post (users can follow a hashtag, such as “#brooklynforrent," for example). Posting a photo with no info is a bad idea, but preferences vary on tagging a little or a lot. Lubin, who’s not a fan of all the space a dozen tags takes up, maxes out at about five, and tries to keep his tags very location-specific. For advanced tagging, you can embed tags in your photo, which can help expand your reach. The new frontier of marketing and PR is the Instagram influencer—those people, companies, or organizations with lots of followers (hundreds of thousands, even millions) or followers “in the know” about an interest or topic. That’s where the major synergy comes in for every business, and in the real estate industry, it’s the high end of the market that’s partnering with influencers. Again, a stunning picture of a penthouse alone is not the way to go. It’s worth noting that Instagram could be used to your advantage to reach other brokers by watching their feeds to get a sense of what’s out there. McPeak says that the feature Instagram Stories (short videos on the platform) have been especially effective in driving off-market sales. “They’re not scripted, they’re not curated or edited. They’re like a documentary photo shoot, raw and uncut,” he says. “We’ve have brokers engage us after seeing an apartment we’ve featured in a story and we’ve done deals before we even put the property on the market,” he says.